We were thrilled to provide a range of kitchen and bath products to Starview, the latest home from Rick Perkins and Perkins Development Group. The 8,059-square-foot Brentwood home offers incredible luxury and is currently on the market for $11,995,000 with Billy Rose of The Agency—check out the listing to see more of the home. For the interiors, Rick turned to designer Brooke Gardner and for staging the home, he brought on Meridith Baer. We thought it’d be fun to take a close-up look at Starview’s beautiful kitchen and bathroom designs and talk to Brooke about what she did. Read on to learn more about her concepts and choices. SD: What was the overall design brief for the project? Brook: The idea for the house was to create a modern but still warm and inviting interior. I kept the material and color palette minimal and used high quality materials. SD: What was your approach to designing the kitchen? Brooke: I wanted to do contemporary cabinets that felt warm and rich, as opposed to cold and stark. We used Cleaf, a high-end Italian laminate. One specific requirement was lots of storage space, so the top cabinets have pop-up doors that make useable space for long-term storage above the more traditionally functioning lower cabinets. The large island is perfect for food prep and presentation, and it acts as the hub of the kitchen/family room area. SD: Tell us about some of the products you chose for the space. Brooke: The range, refrigerators, dishwashers, coffee machine and microwave are all Thermador. We liked the entire suite that they offer. It fit very nicely with the aesthetic we were going for—clean and crisp without being too stark. There are three dishwashers in the house, two in the kitchen and one in the butler’s pantry. We used Sub-Zero’s under-counter beverage centers in the butler’s pantry and in the upstairs bar area. And as soon as I saw the Dacor wine system, I new it would end up in the house. We had already planned for a temperature controlled wine room and this was the perfect addition. All of the kitchen plumbing is by Rohl. I love the quality and hand of their faucets; they feel sturdy and look beautiful. We also used Rohl’s Shaws Fireclay sinks to add warmth and provide durable functionality. SD: And what were some of the highlights of doing the bathrooms? Brooke: The idea for the bathrooms was to create “space within space,” so that they felt like truly custom-designed bathrooms and not just a typical box with all the requirements. Minimal and luxurious materials, quality plumbing fixtures and attention to detail add to the warmth of the rooms. The upstairs bathrooms also take advantage of the incredible views. The toilets are Toto. SD: Tell us about your design for the laundry room. Brooke: We used the same materials in the laundry room as we did in the kitchen and butler’s pantry, once again adhering to the design concept of using a minimal material palette throughout the house. There are two matching sets of the Maytag washer and dryer. SD: Why was it important to focus on quality, luxury products for this property? Brooke: We loved the idea of using high end, recognizable names for the appliances and plumbing fixtures. I think it is important when you are trying to sell a house for a lot of money that the materials used reflect the price point you are trying to reach. 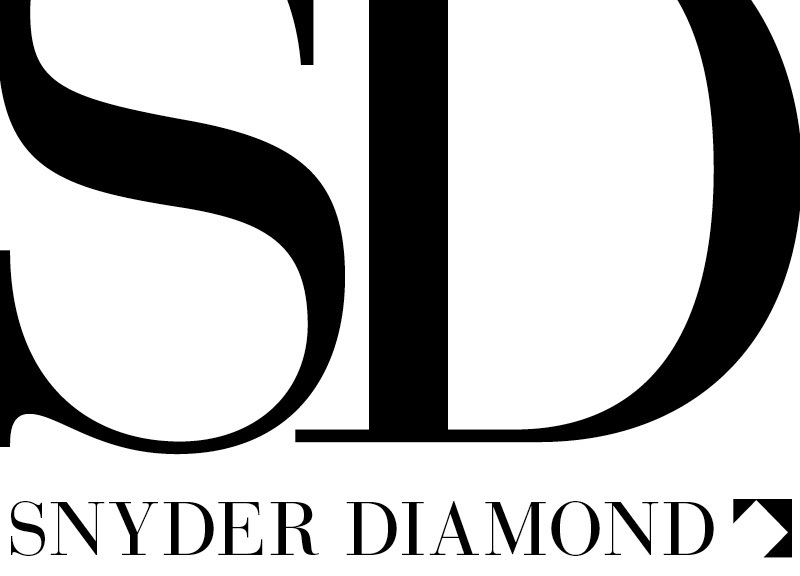 We loved working with Snyder Diamond because we were able to see and feel the products we were getting, and the process was easy because of thorough estimates and a project binder with all of the tear sheets. So, so helpful. To learn more about Starview and its creation, check out our new Convo by Design (CXD) podcast with Rick and Brooke.